Why upgrade vSAN? Here is a list of features, release by release. I was with one of our large EMEA customers last week, and we talked quite a bit about the evolution of vSAN. This customer is already one of our larger vSAN customers with very many clusters, and many, many nodes. They have also been a great vSAN reference for us, having first deployed the initial vSAN 5.5 release. One point that hit home was that they found it was quite difficult to determine the various features and enhancements that were introduced in each vSAN release. They mentioned that having a quick reference would be useful as they could use it to find out which release they should aim for, and also justify upgrade activities to the business. With that in mind, I decided to compose a list of big-ticket items associated with each release of vSAN. I will try to keep this up to date with upcoming releases as well. Hope you find it useful. I believe this captures the major features, but if you spot something that I missed, please let me know. Build number 10302608 (31 OCT 2018). More detailed information on vSAN 6.7U1 available here. Build number 8169922 (17 APR 2018). More detailed information on vSAN 6.7 is available here. More detailed information on vSAN 6.6.1 is available here. More detailed information on vSAN 6.6 is available here. Note: Direct upgrade from vSphere 6.0 Update 3 to vSphere 6.5.0d and vSAN 6.6 is not supported. More detailed information on vSAN 6.5 is available here. More detailed information on vSAN 6.2 can be found here. More detailed information on vSAN 6.1 can be found here. 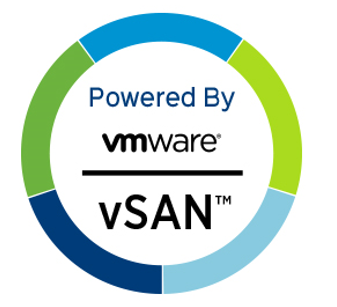 More detailed information on vSAN 6.0 can be found here. No specific vSAN 5.5/1.0 Release Notes but vCenter 5.5 U1 and ESXi 5.5 U1 has references to vSAN (Virtual SAN). More detailed information on vSAN 5.5/1.0 can be found here. I have not included every single patch release, but I do hope this gives some insight into the various enhancements that have appeared with each major release of vSAN, and also the benefits of upgrading to some of the newer releases. There have been many patch release between these major release as well. Check out KB article 2150753 for details on the various build numbers with each vSAN release.